On your way to Algarve! The coldest months of the year are from to November to February with average temperatures between 9°C and 16°C, with few rain periods. Perfect for those looking for a getaway from cities and countries where the Winter is more severe. If you visit the Algarve around May, you will be able to enjoy a fantastic weather without the summer rush. Sometimes Spring temperatures in the Algarve can reach around 28°C or higher, almost like Summer. Visiting the Algarve in Autumn is also a good choice. With such a pleasant temperature, around 20°C, you can enjoy walking on the beach in sunny Algarve. At this time of the year many golfers from around the world choose the Algarve as their favourite destination. Being traditionally a summer holiday destination for Portuguese, the Algarve is a welcoming destination all year round. Usually Summer is the hottest time of the year reaching up temperatures of 35°C or higher. It is also the season in which seafront locations get busy and the sun and heat are a constant. It is the perfect time to enjoy the heat and Algarve’s stunning beaches. 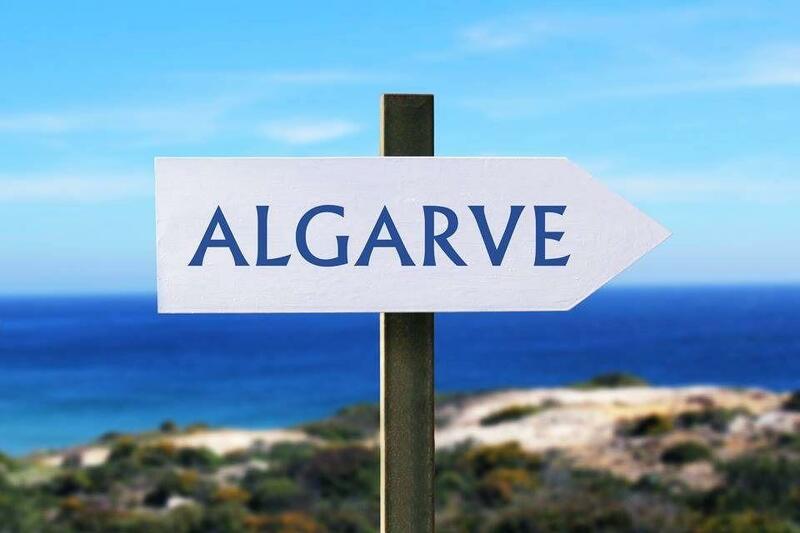 To move around the Algarve, you can travel by train, bus, taxi or car or choose a transfer service. There are stations and stops and public transport in the main localities. The car rental service is also available at key locations, at the airport and travel agencies. If you choose to rent a car, here are some important information: Driving is done on the right side of the road, to wear seat belt is mandatory and it is prohibited to use mobile phones while driving. Also, be aware when transporting children once seats for children up to 12 years or 135cm tall are required. And do not forget the mandatory documents: driving license, identity card or passport and vehicle documentation. The Algarve will welcome you with open arms any time of the year. Algarve is known for being a region that welcomes tourists very well, and portuguese language is rarely a barrier. English and Spanish are spoken and understood by the majority. Portuguese are very proud of their language and greatly appreciate the efforts when foreigners try to communicate in portuguese. With just bom dia (good morning), boa tarde (good afternoon) or obrigado (good afternoon), you will immediately grab a smile and you will be certainly teached new words or expressions! People like to be treated by Mr. or Mrs. and when you are introduced to someone the handshake is the formal greeting although "two kisses" is the most common. Typical portuguese normally have breakfast in small cafes or pastry shops near their residence or their place of work. Traditionally they drink a “galão” (coffee with milk) and eat a toast, or they are just waking up with their first morning “bica” (expresso). Stop by one of these cafes or pastries and feel the morning atmosphere! At lunch and dinner time do not be surprise when you read in almost every restaurant menu “Soup of the day”. Portuguese have this eating habit of eating a vegetable soup every single day. But not as main course but rather as a starter, to tuck in the stomach! Try it! With your stomach tucked, and if you are planning to go to facilities such as Banks, Post Offices, Pharmacies, Commerce or National Museums make note of their opening hours because they may vary. And if for some reason you need to be assisted by a doctor you can go to a local health centre. You should only go to Hospitals emergency departments in serious cases. In case of emergency, the national emergency number is 112. In pharmacies, pharmacists can also diagnose minor health problems and advise treatment. We hope that you will not need any of these and that you will be able to enjoy your holidays without any setbacks! Since 2002 that the official currency in Portugal is the Euro. Did you know that Portugal is one of the founding members of the European Monetary Union? The single currency has made life easier for many tourists, but for so many others it is necessary to proceed with currency trading. And if you need to do so, money can be exchanged at banks and exchange bureaus, however, exchange rates may vary. It may be more practical to withdraw money with the debit or credit card in an ATM. There is a large network of ATMs scattered around the localities, which allows you to cash out 24 hours a day. Add these and other useful information and visit us, the Algarve is waiting for you!